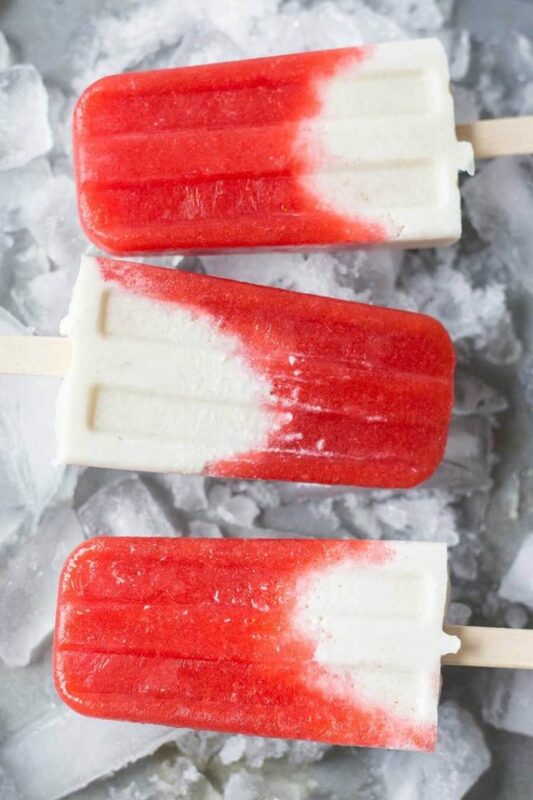 These paleo, gluten free and vegan popsicles are an easy summer/spring recipe to brighten up our day. The creamy layer is made with raw cashews and coconut milk and the strawberry layer is made with fresh strawberries and lemon. Both layers are sweetened slightly with pure maple syrup for a cool and sweet snack or dessert.